VENUS MEKANO Bridge Saw / Slab Saw is suitable not only at building sites, but also at masonry workshops to cut marble, granite, other types of stone, and porcelain. Adjustable cutting from 45° up to 90° in one fast and easy maneuver. Fits two sizes of bridge saw diamond blades: 300 mm and 350 mm. The VENUS MEKANO Bridge Saw / Slab Saw is one of our faster and high-performance machines, available in three versions with cutting length ranging from 850 mm to 1550 mm and integrated water cooling. Top of the range masonry bridge saw for perfect cutting and mitering on stone, tile or any kind of construction material. These machines include exclusive toothed belt / wheel transmission system for a precise and comfortable cut on large stone slabs. The VENUS MEKANO range of bridge / slab saws is designed to straight or miter cut all kinds of stone and other construction materials, particularly those of larger size, quickly, precisely and with the highest quality. Models VENUS 125, 150 and 200 tools include a handwheel operated feed with a toothed belt transmission. 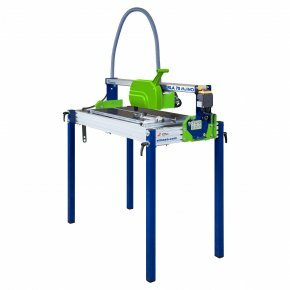 And these machines also include a self-cleaning system of the sliding rails based on polishing felts and a folding guard in all bridge saw models. Model VENUS 85 moves by operating a handle. As with all MEKANO products, these machines are manufactured with 90% stainless materials. 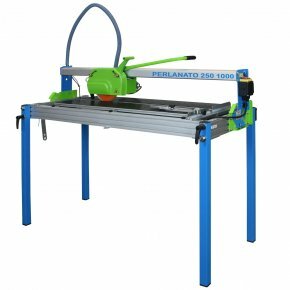 The cutting head moves over the saw table with the assistance of a bearings system mounted on an aluminum cart or table. These bearings are placed at 30° and 90° angles, ensuring a perfect straight or bevel cut, essential when cutting expensive tile, stone and ceramic. The innovative upper bridge is also made in anodized reinforced aluminium. Fitting the cutting head is very easy and can use Ø300 mm (12”) and Ø350 mm (14”) blades. It is the perfect equipment to use at the job site or in stone, marble or granite workshops, etc. 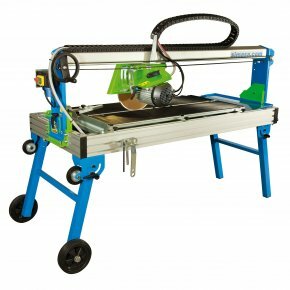 All machines in this range of bridge / slab saw equipment include a Ø350 mm diamond bridge saw blade standard. 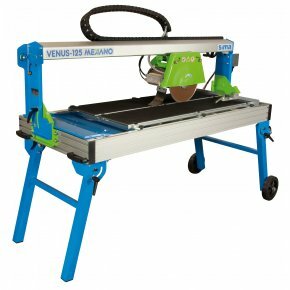 SIMA also offers a special VENUS model slab saw designed to performs cuts on polyurethane insulating panels. This model is delivered with a TCT blade and is fitted with protection devices to ensure an easy, safe and fast cut. ✅ Supplied with a self-cleaning system using felts on the bearing’s rolling tracks. ✅ Adjustable blade guard and cutting depth adjustment standard in all versions. ✅ 60% of components are manufactured in stainless materials. ✅ Integrated water pump for water cooling of the saw blade. The VENUS MEKANO bridge / slab saw is designed to cut and miter stone, tile or any kind of construction material, especially those with oversized dimensions quickly and with excellent precision. Exclusive SIMA designed cast-aluminum sliding table with 8 adjustable sealed bearings guarantees the most precise cutting on the market. Innovative cutting head system which allows two sizes of bridge saw blades (300 mm & 350 mm) with easy adjustment. 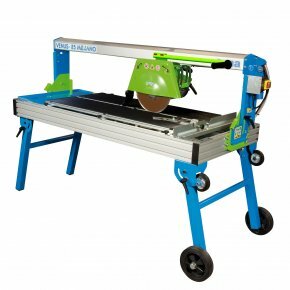 For the highest quality slab saws and bridge saws in the UK at the best price, look no further than SIMA. Stone cutting tools and bridge saws for sale at the best price in our online store. 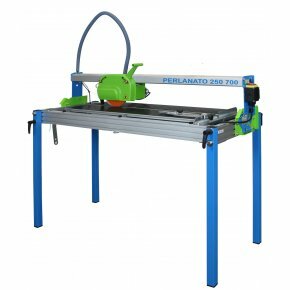 Free shipping on masonry table saws and bridge saws to the UK. Buy these machines direct from the manufacturers and save.